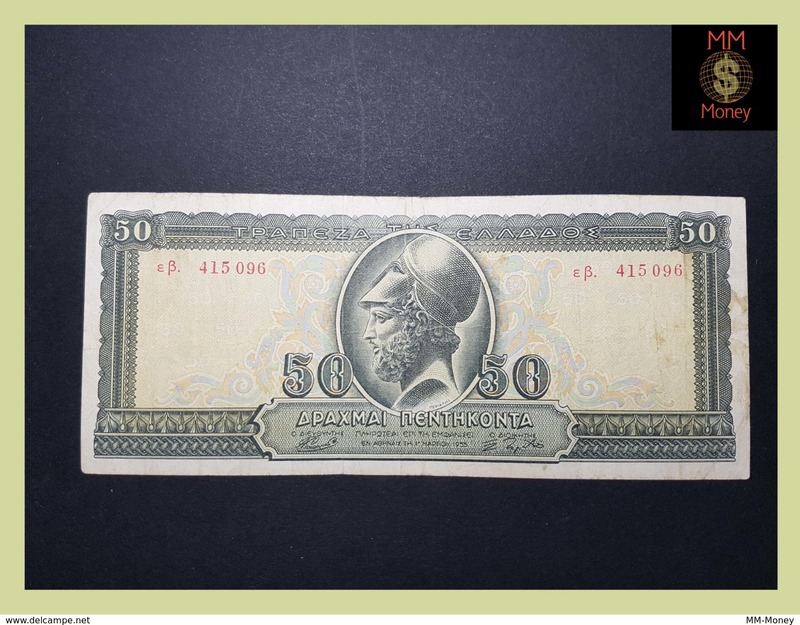 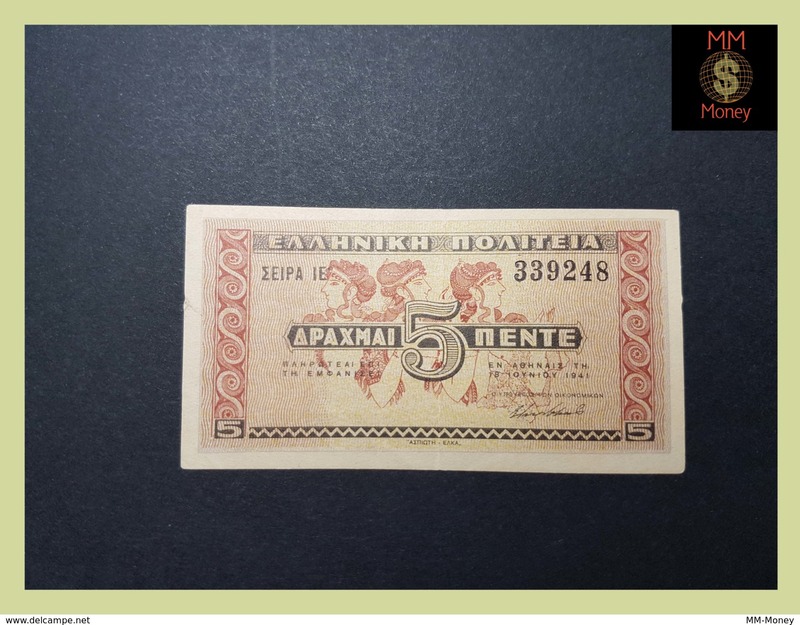 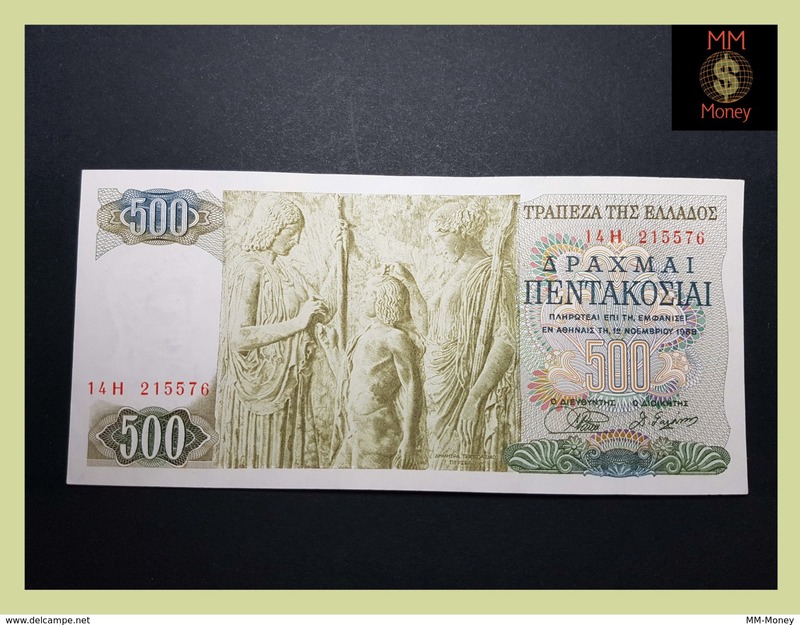 Nieuw Drachmae 5.000/1946 (Red maternity) Extremely rare!! 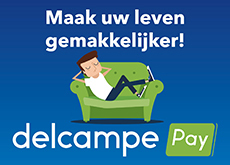 Super Offer! 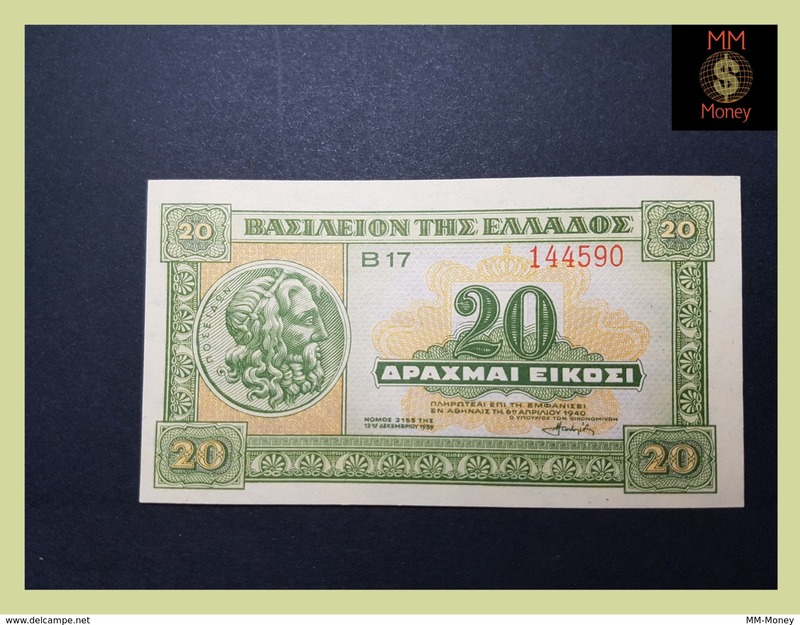 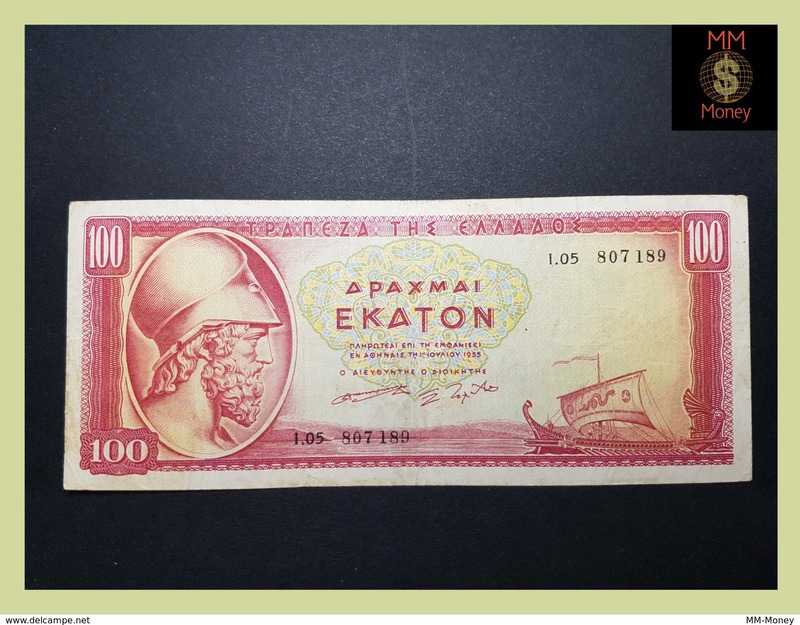 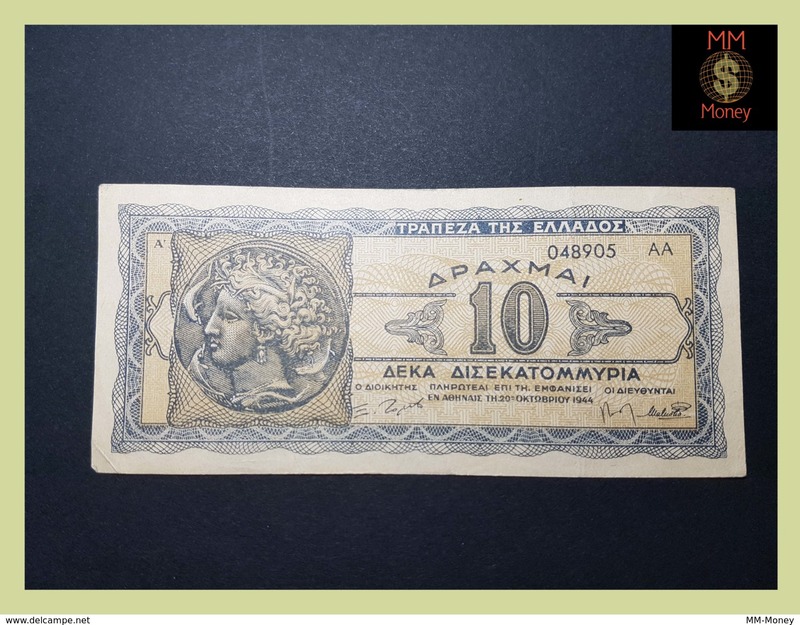 Nieuw 100 Leva 1925 (Circulated in Greece) ! 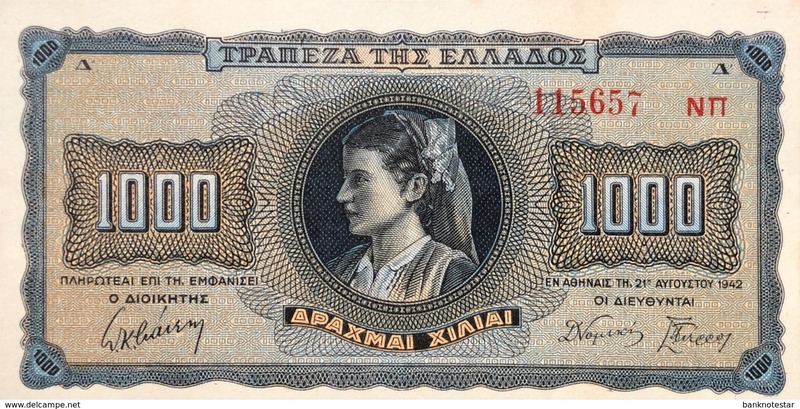 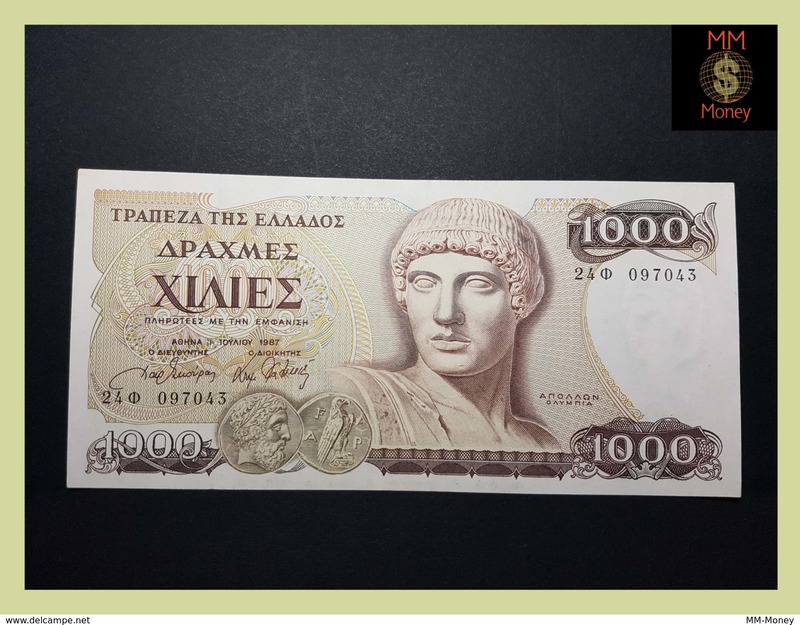 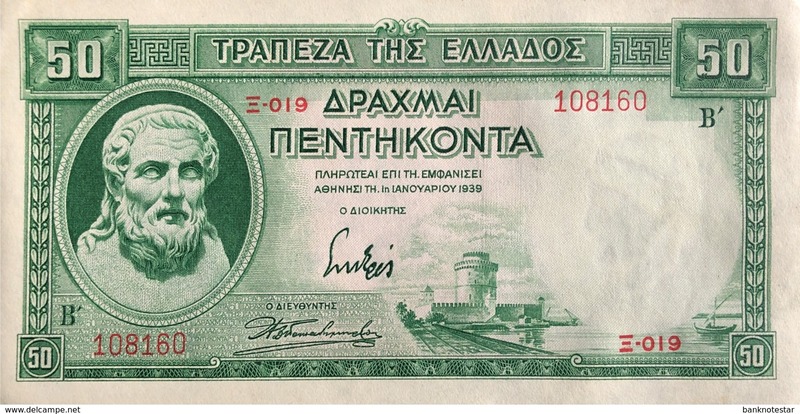 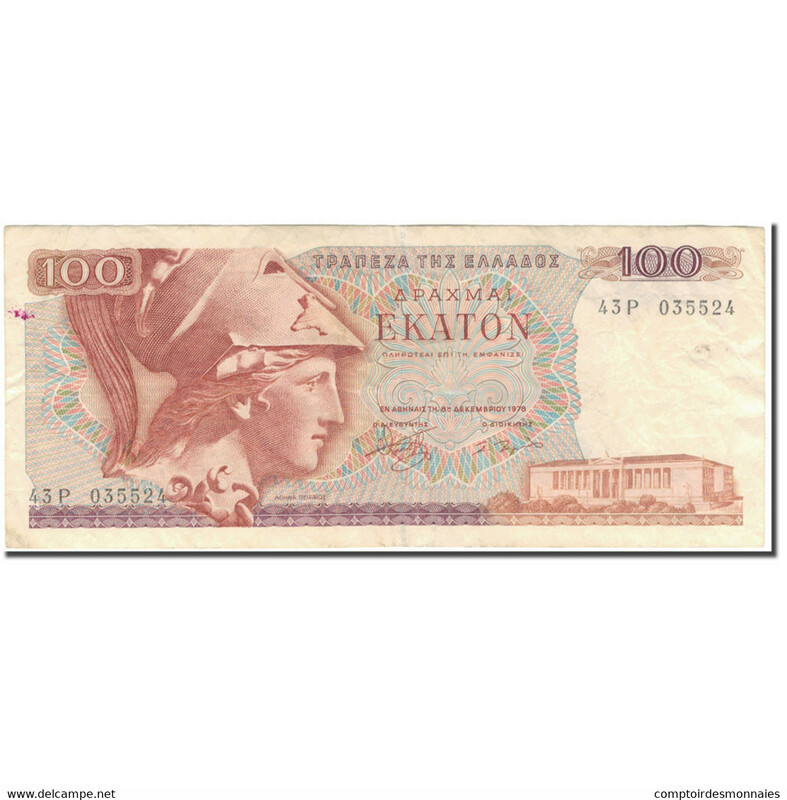 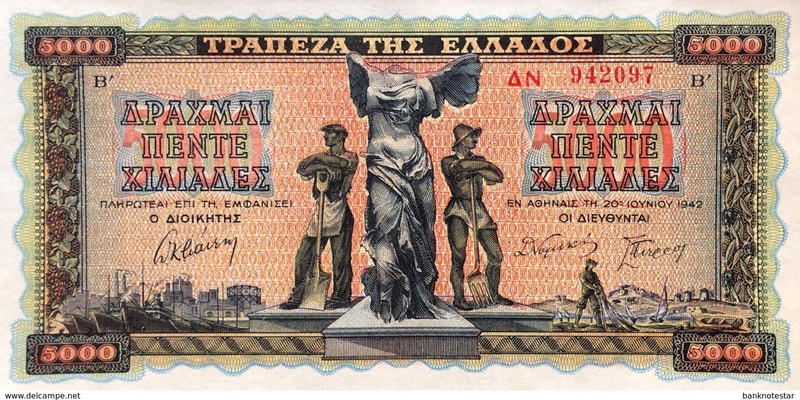 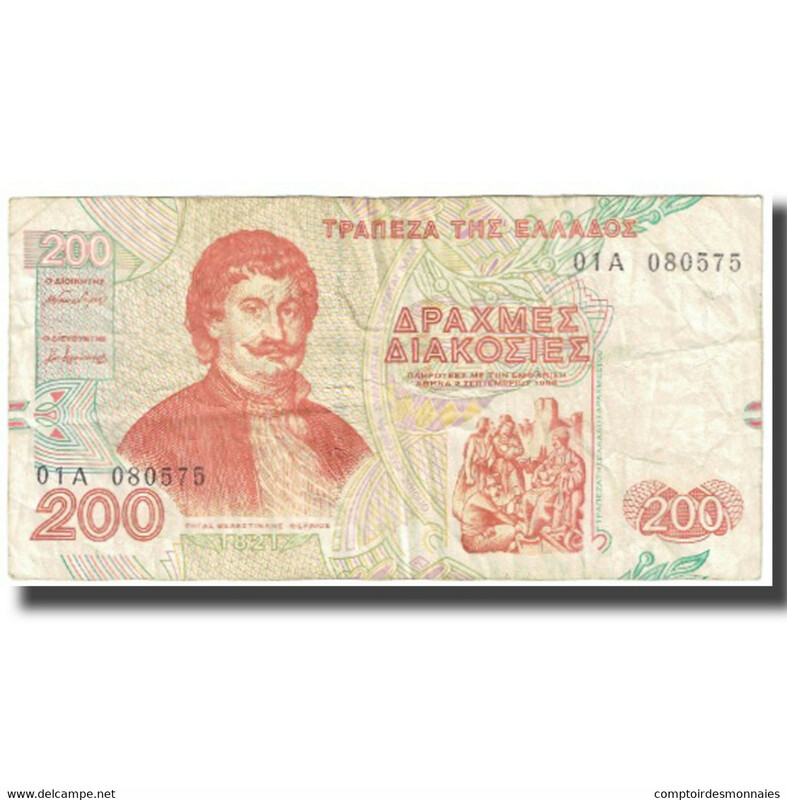 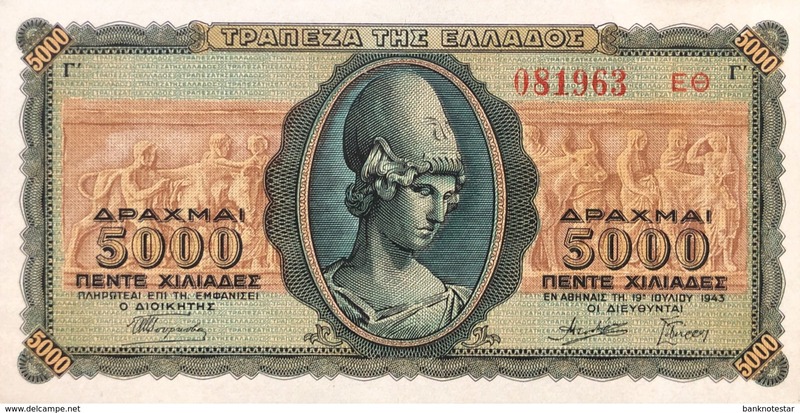 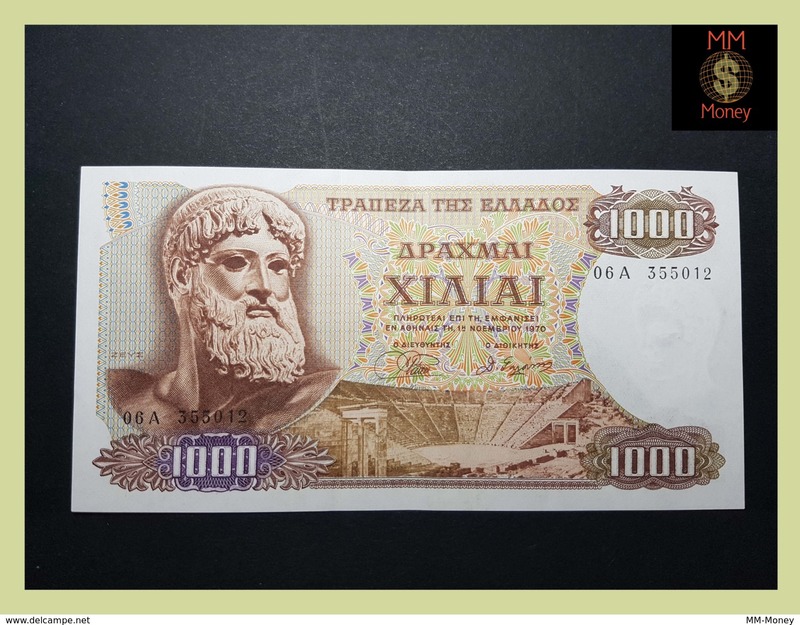 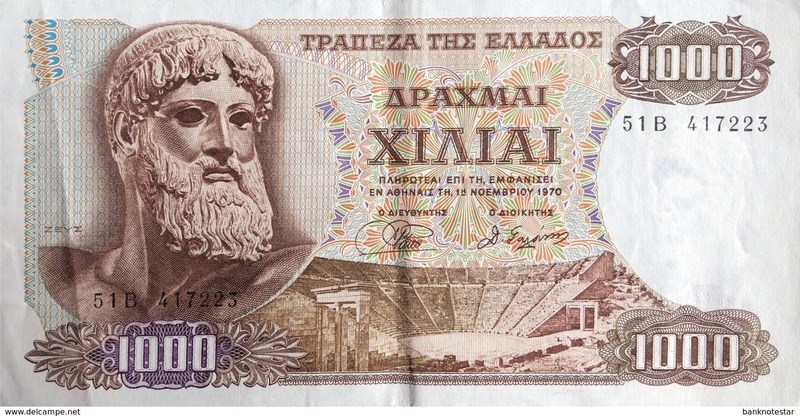 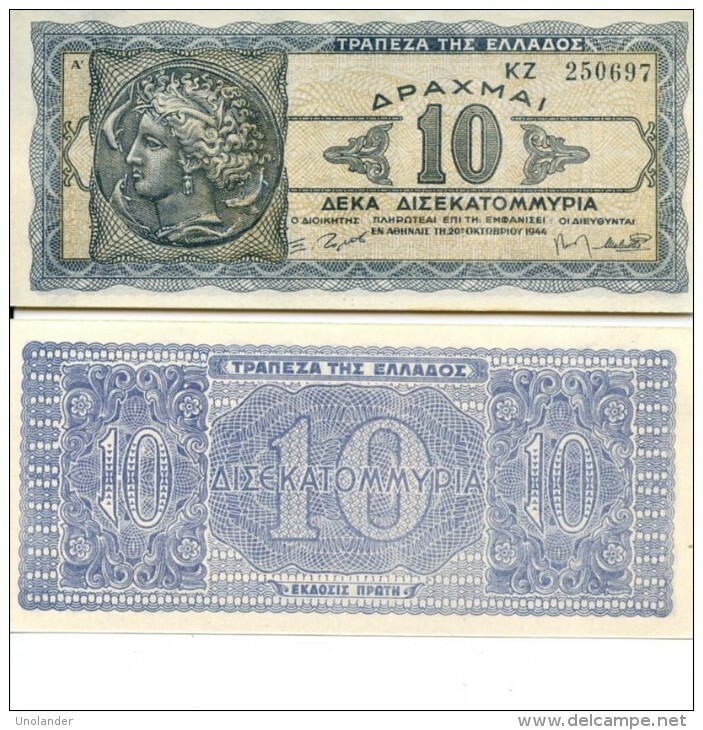 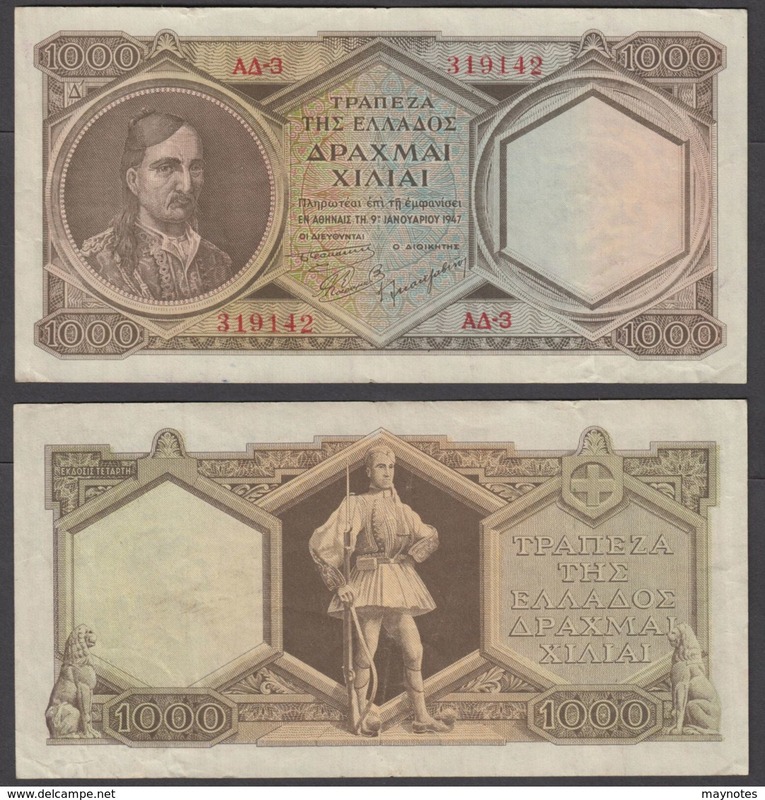 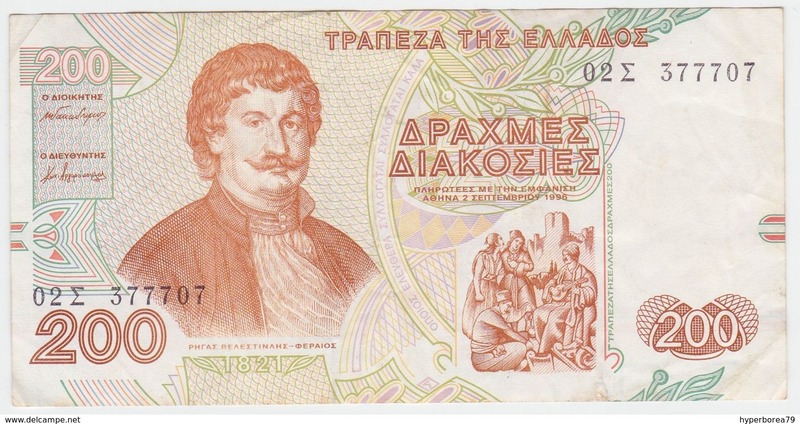 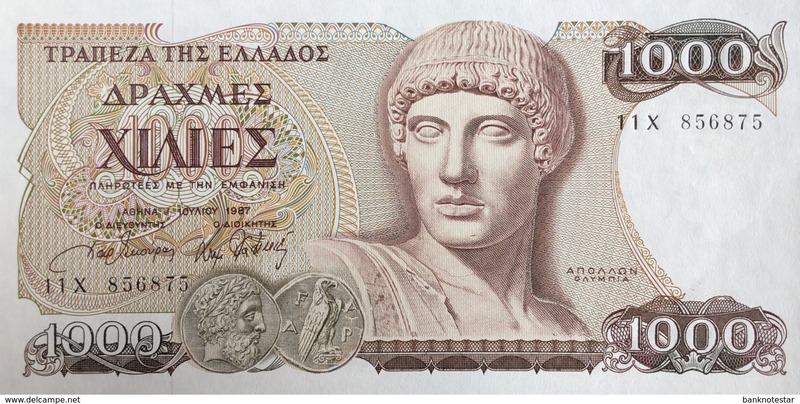 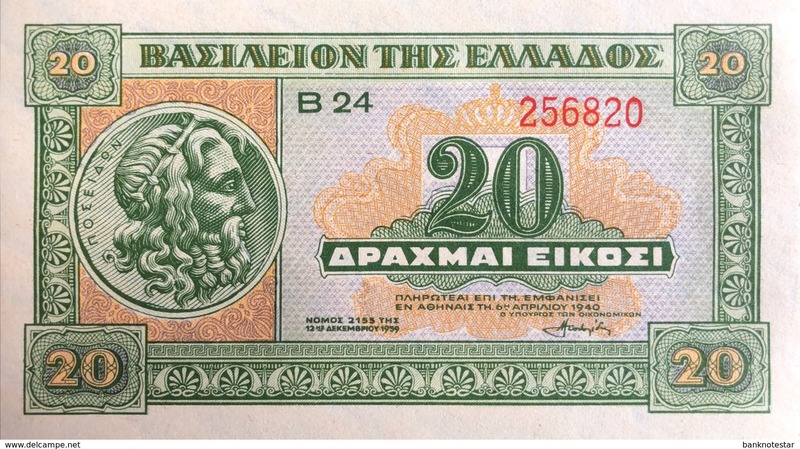 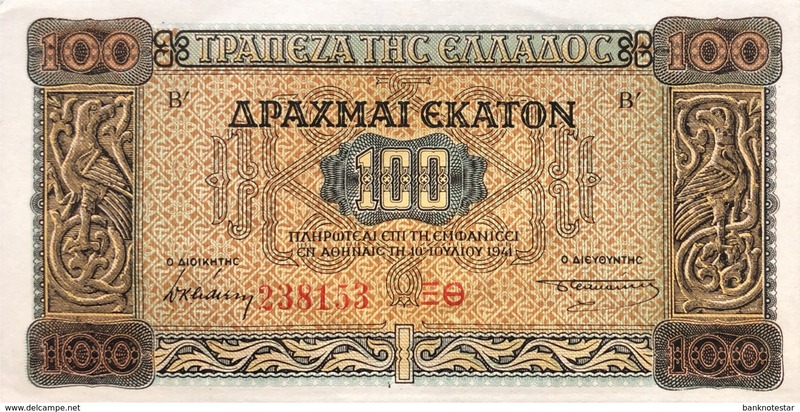 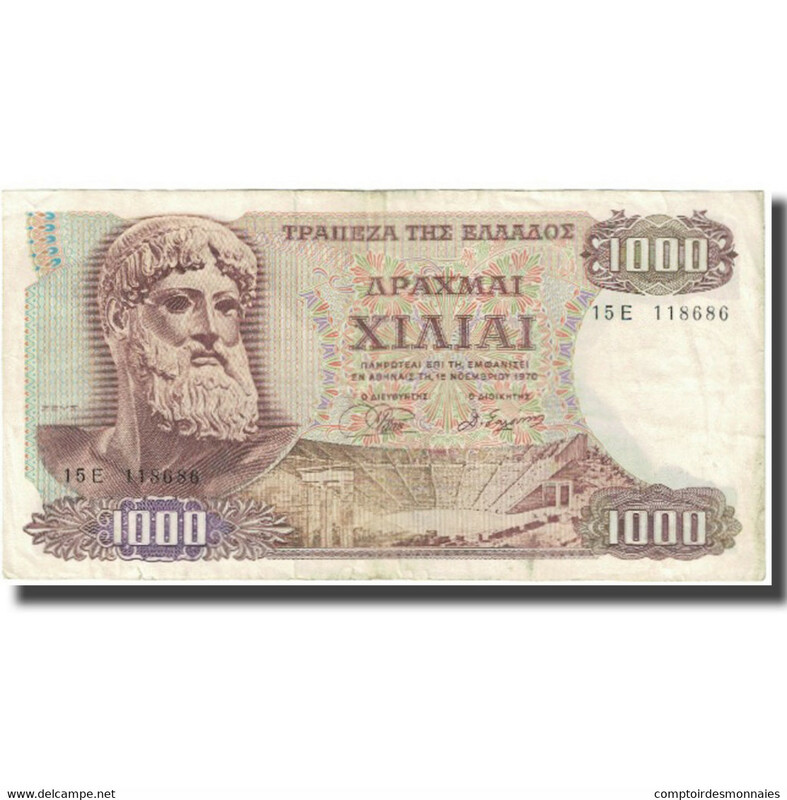 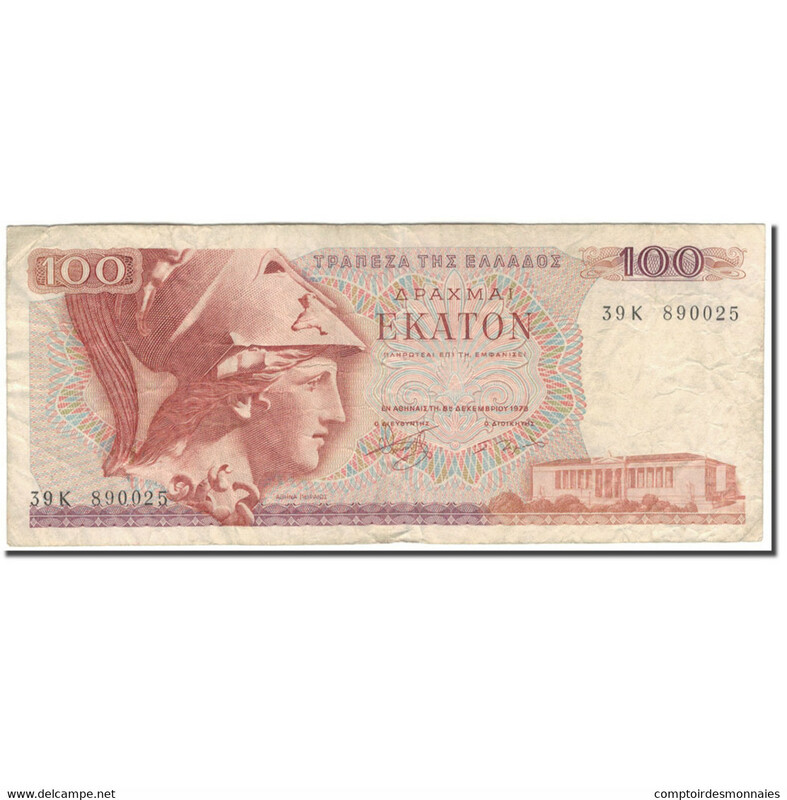 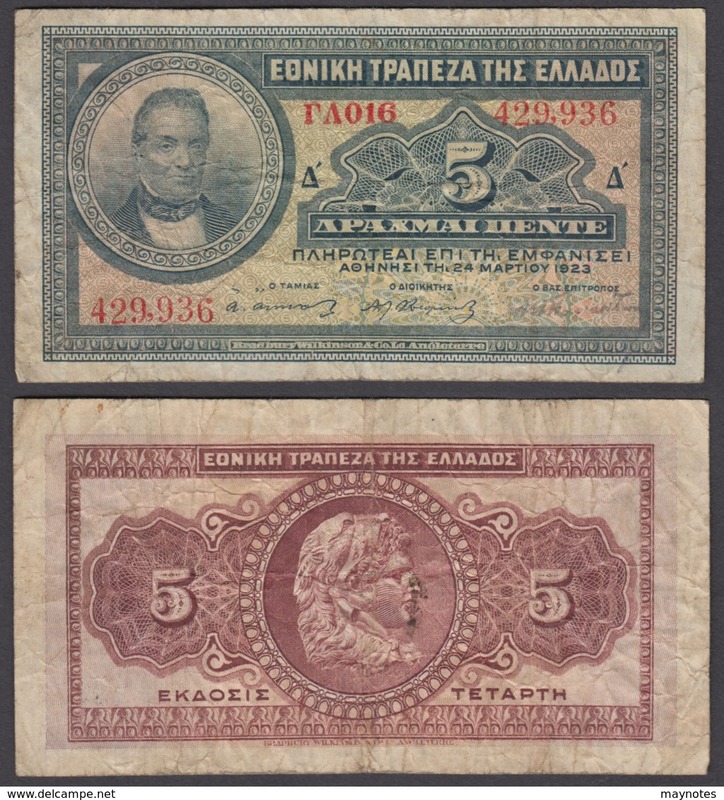 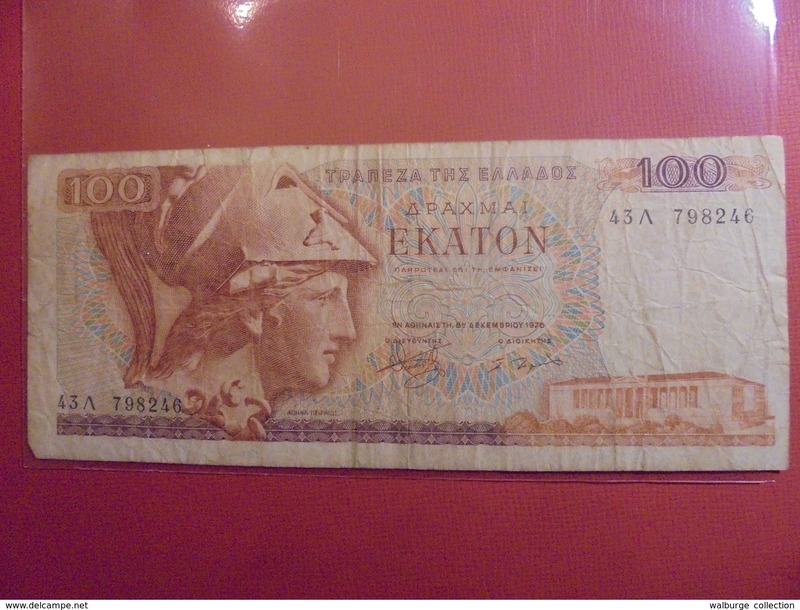 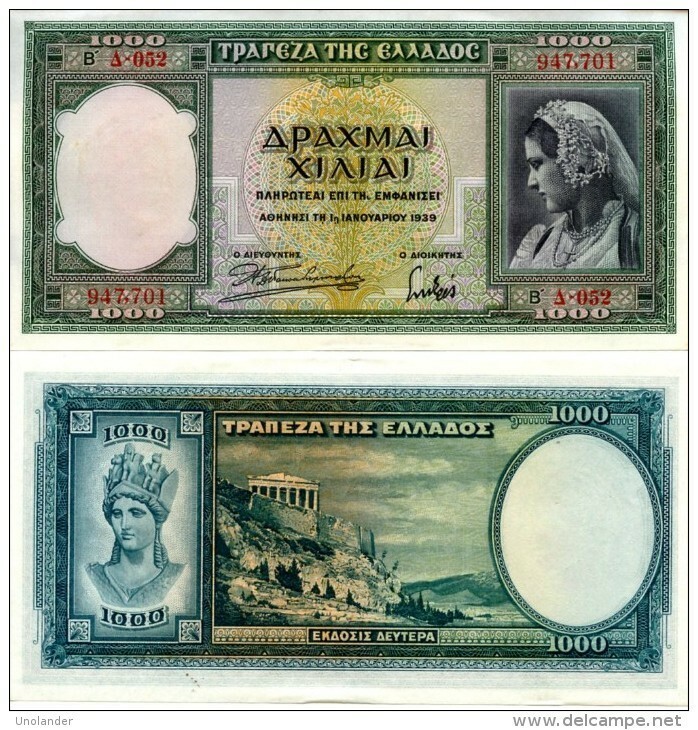 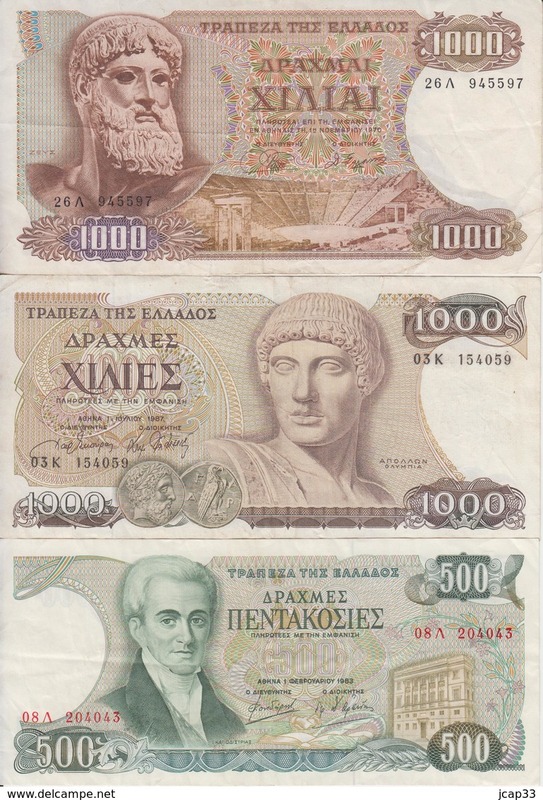 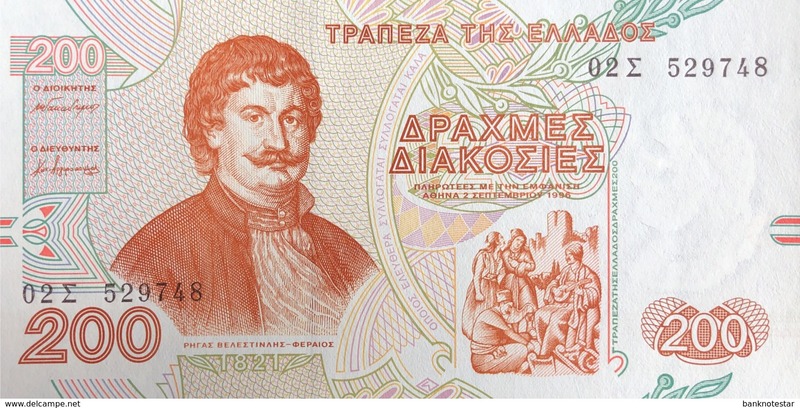 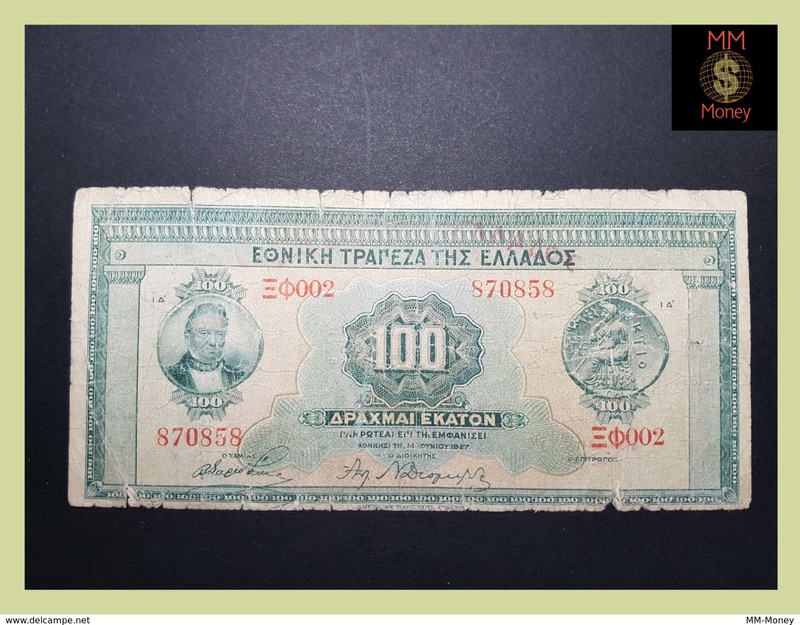 Nieuw National Bank of Greece Drachmae 5/10.10.1914 ! 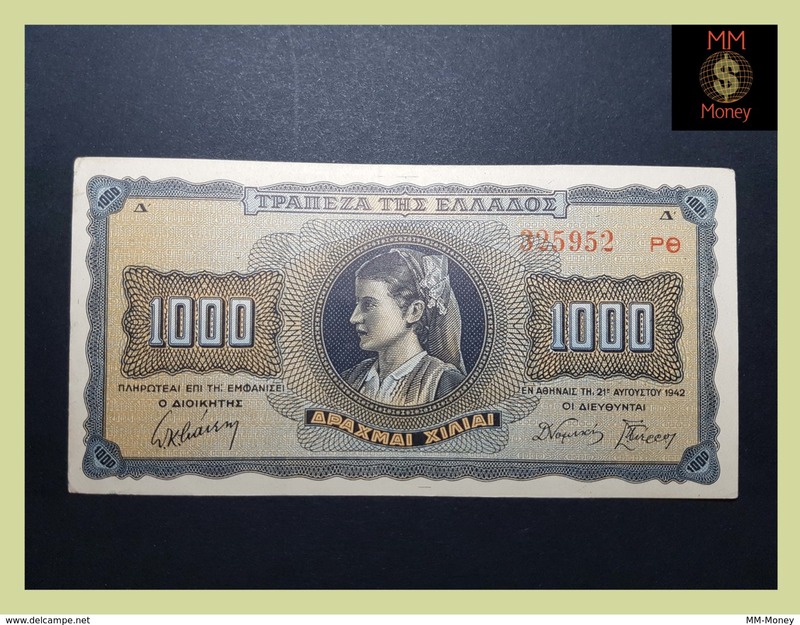 Nieuw Drachmae 1.000/1945 PMG 58 Choice aUNC!! ! 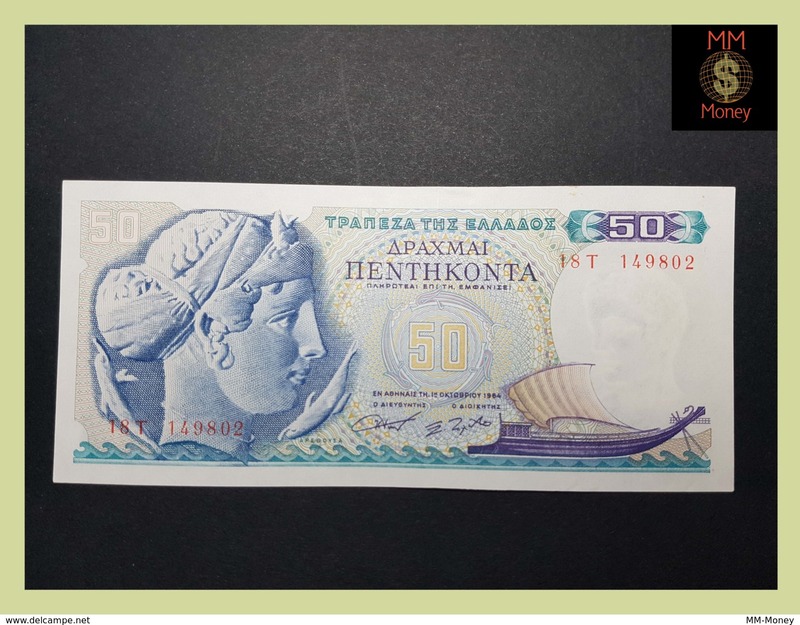 Nieuw Isole Jonie Drachmae 100 PMG 58 Choice aUNC!! 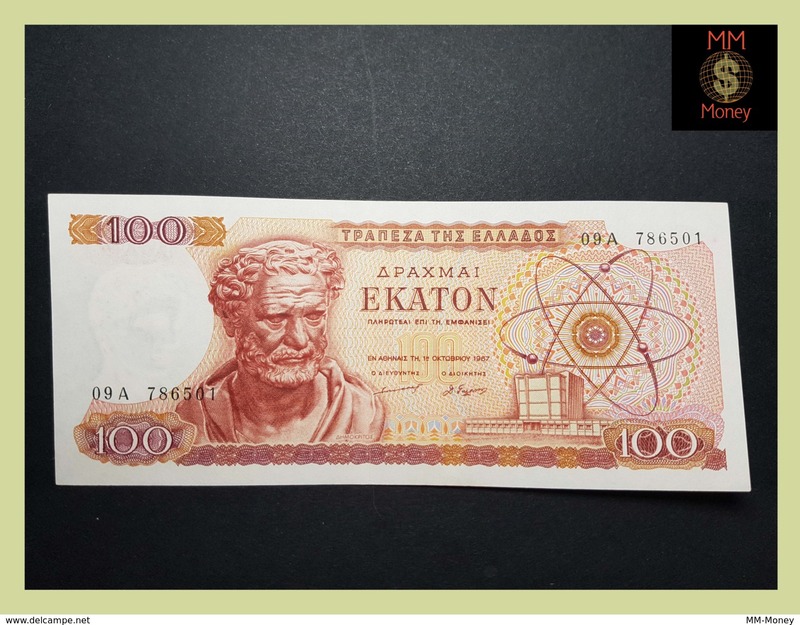 (Exceptional Paper Quality-EPQ)! 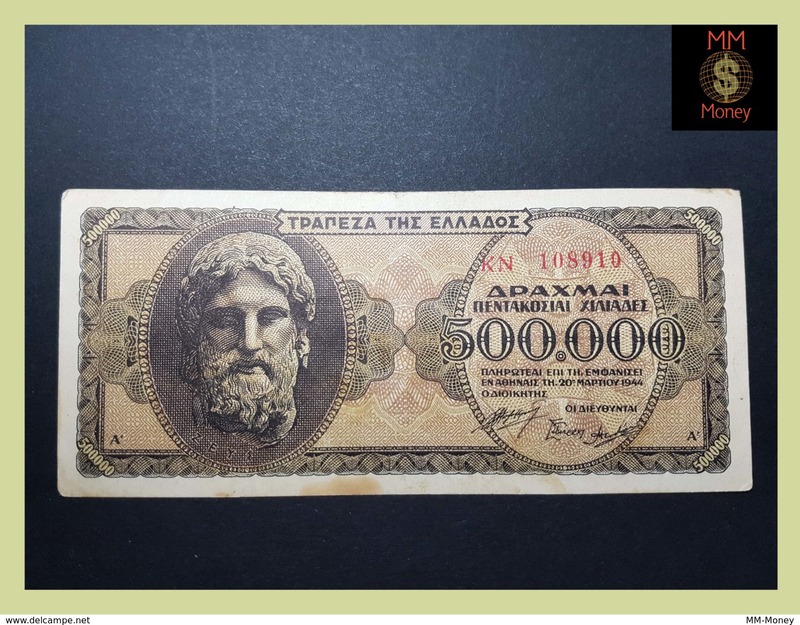 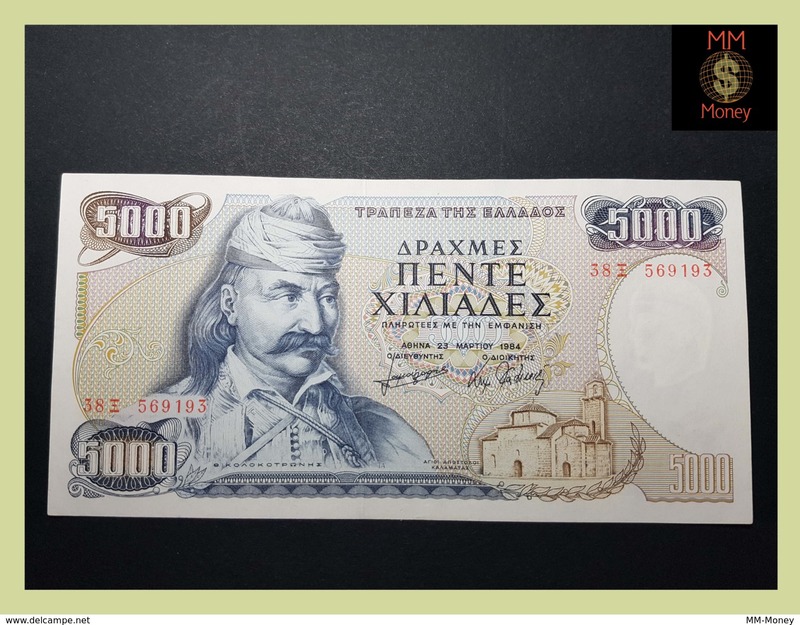 Nieuw Drachmae 5.000/1.6.1997 PMG 65 GEM UNC!! 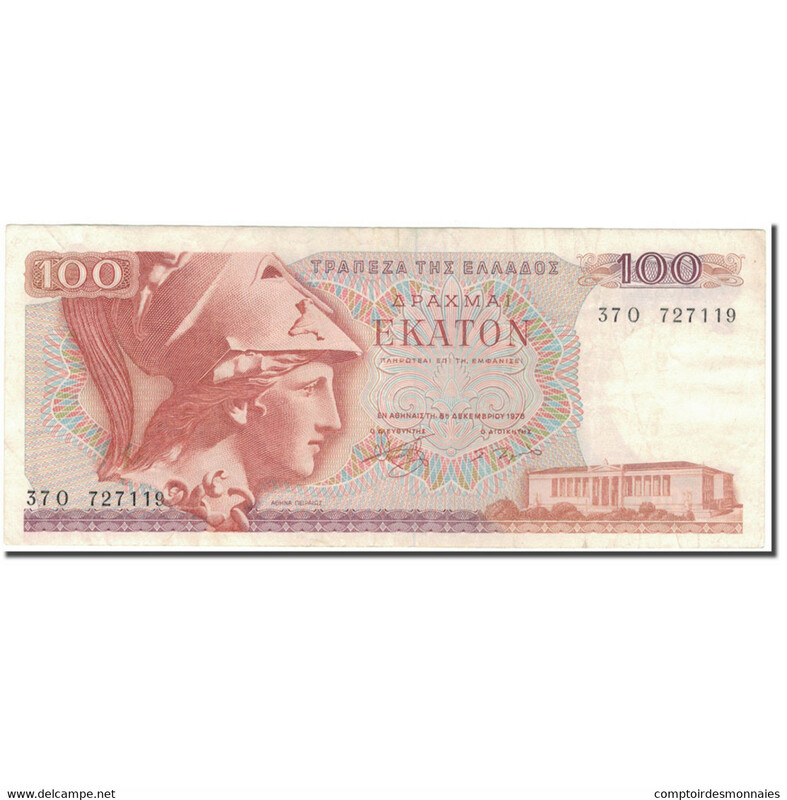 (Exceptional Paper Quality-EPQ)! 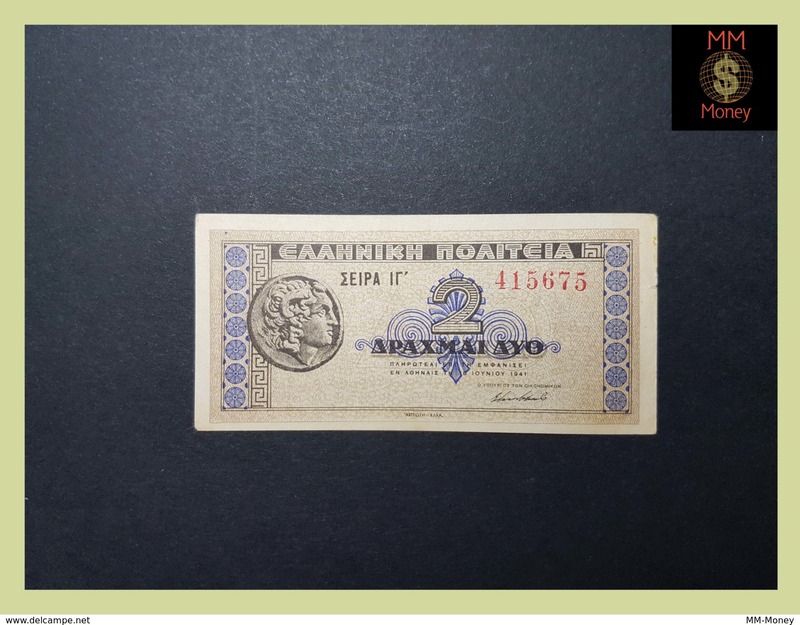 Big size watermark! 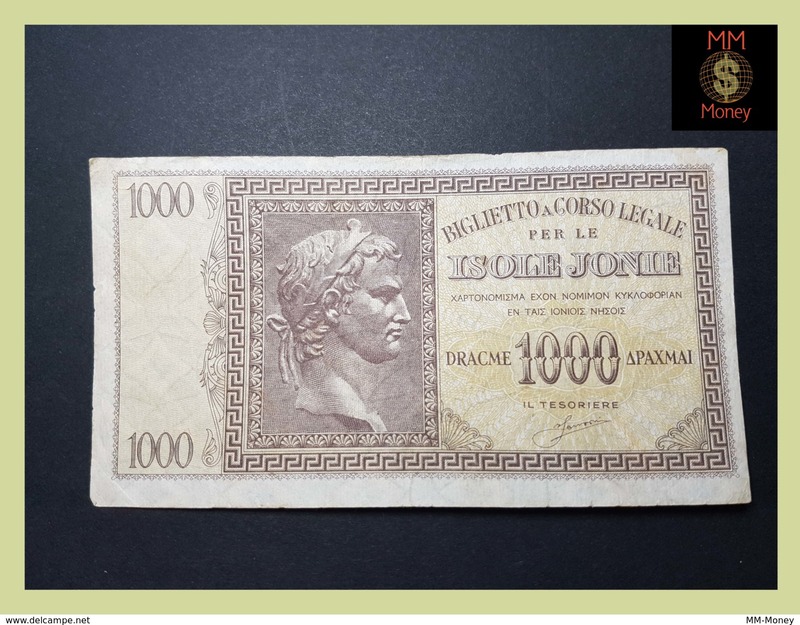 Nieuw Drachmae 1.000/1.10.1941 PMG 64 CHOICE UNC!! 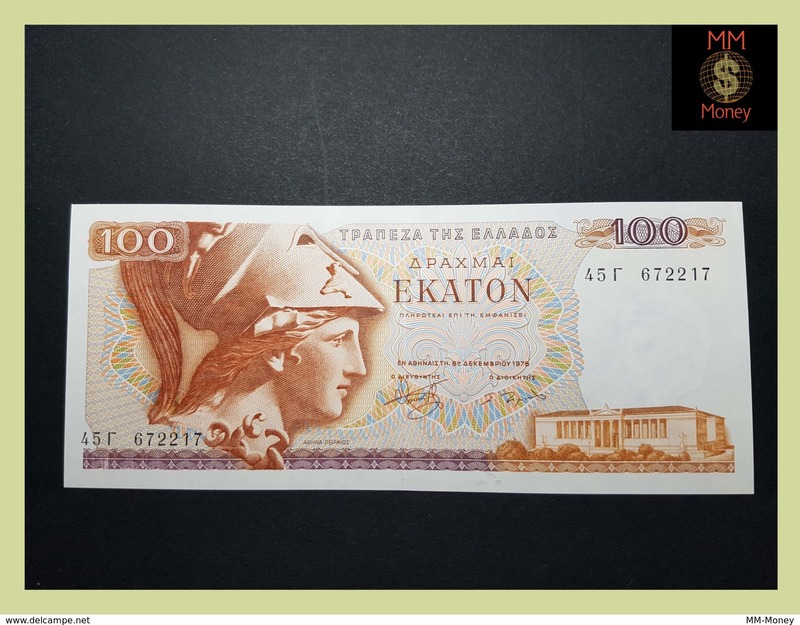 (Exceptional Paper Quality-EPQ)! 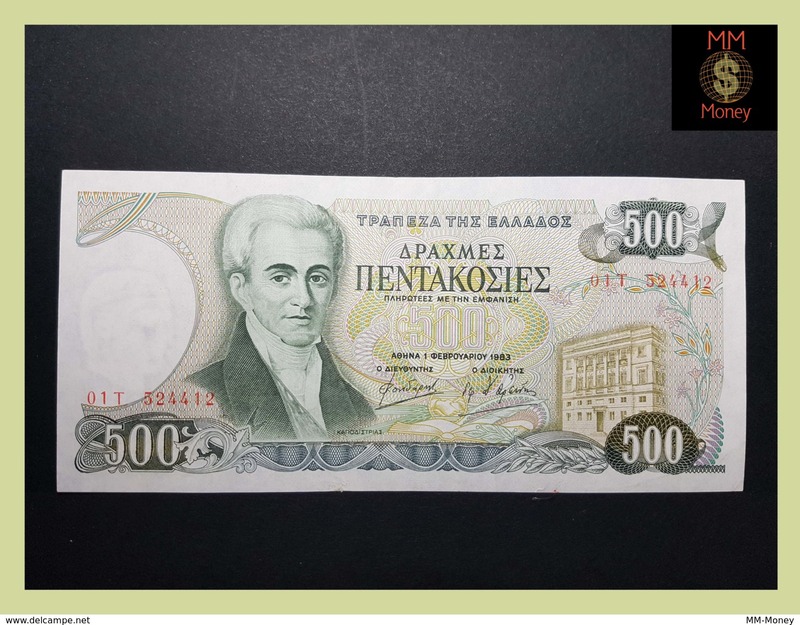 Nieuw Drachmae 50.000/14.1.1944 PCGS 58 PPQ (Perfect Paper Quality!) 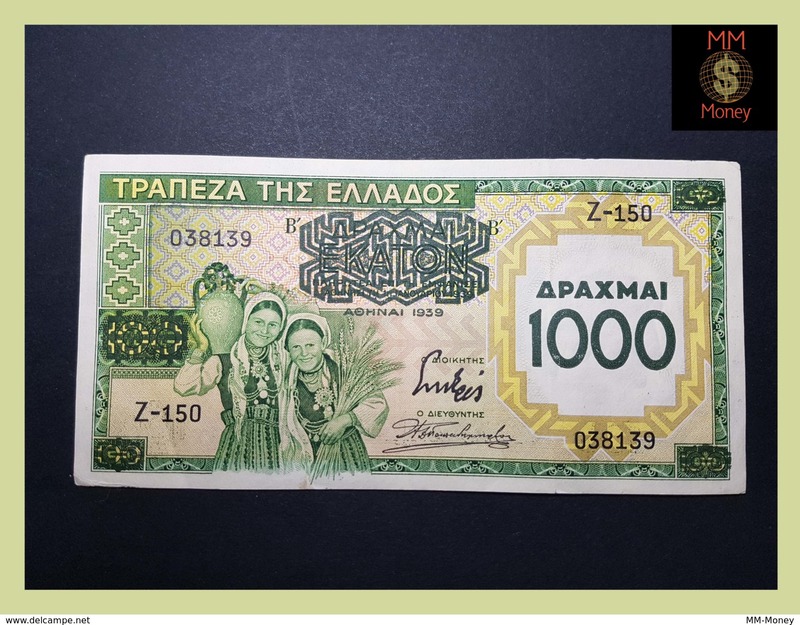 CHOICE aUNC!! 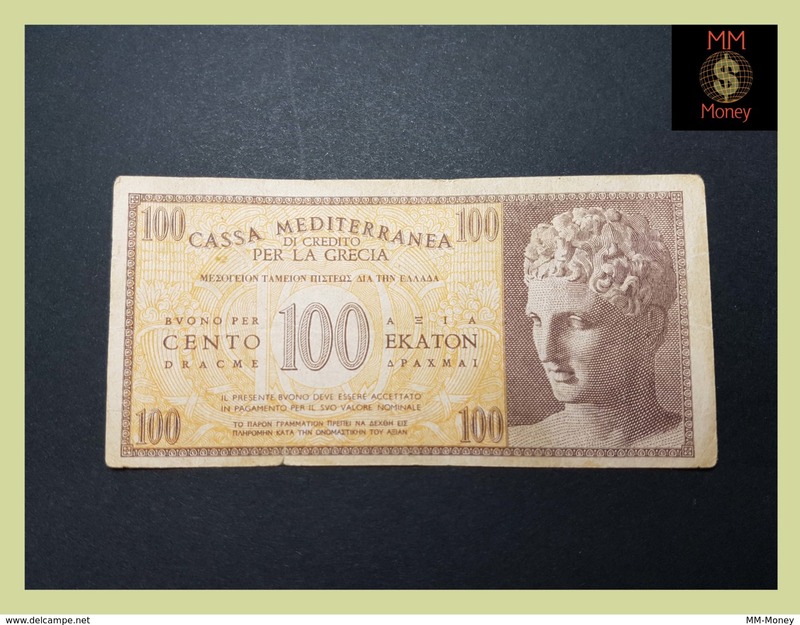 Nieuw Drachmae 10 million/29.7.1944 PMG 64 CHOICE UNC!! 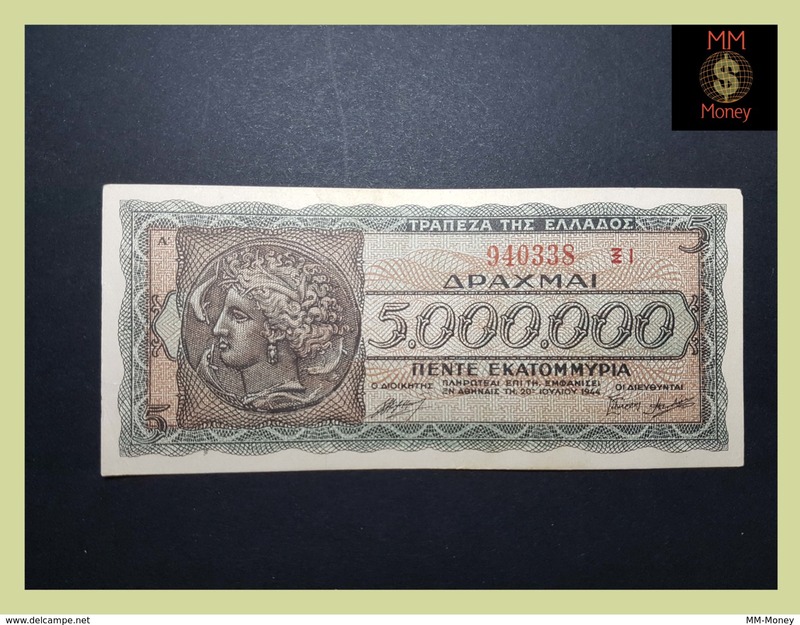 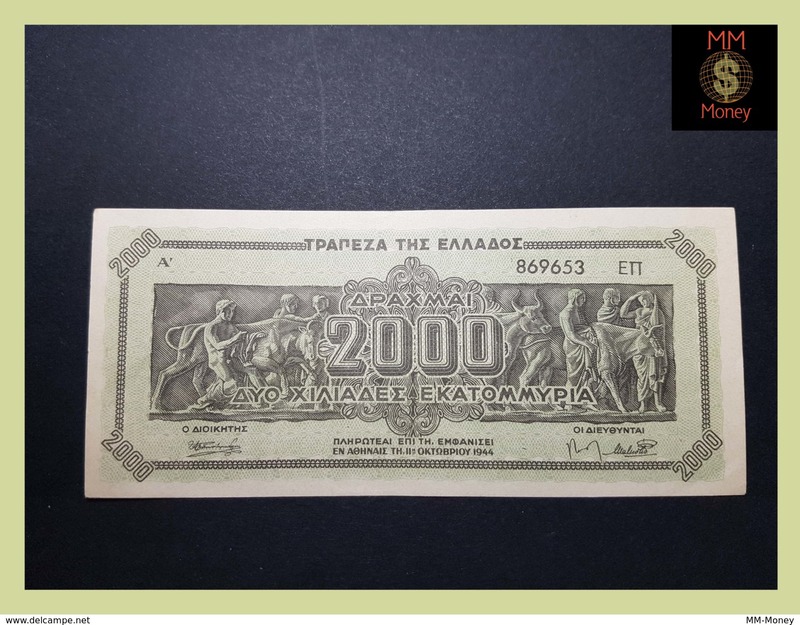 Nieuw Kalamata Treasury Bond Drachmae 50 Million/20.9.1944 PCGS 25 VF! 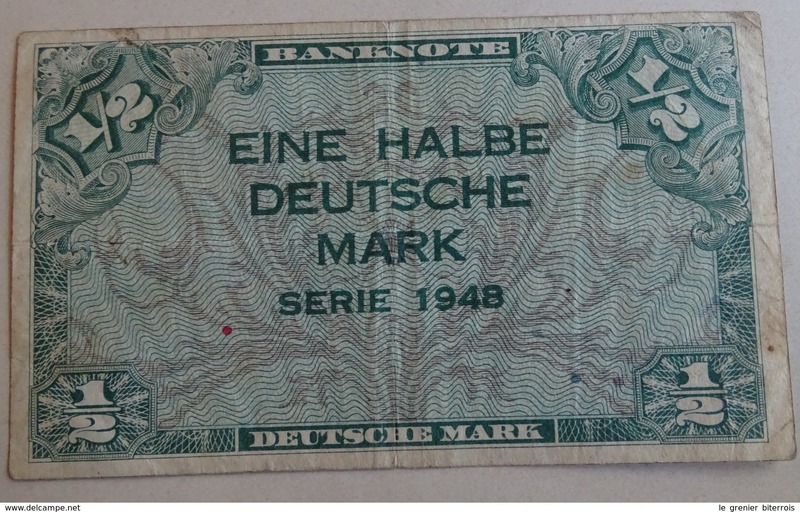 Very rare Bond! 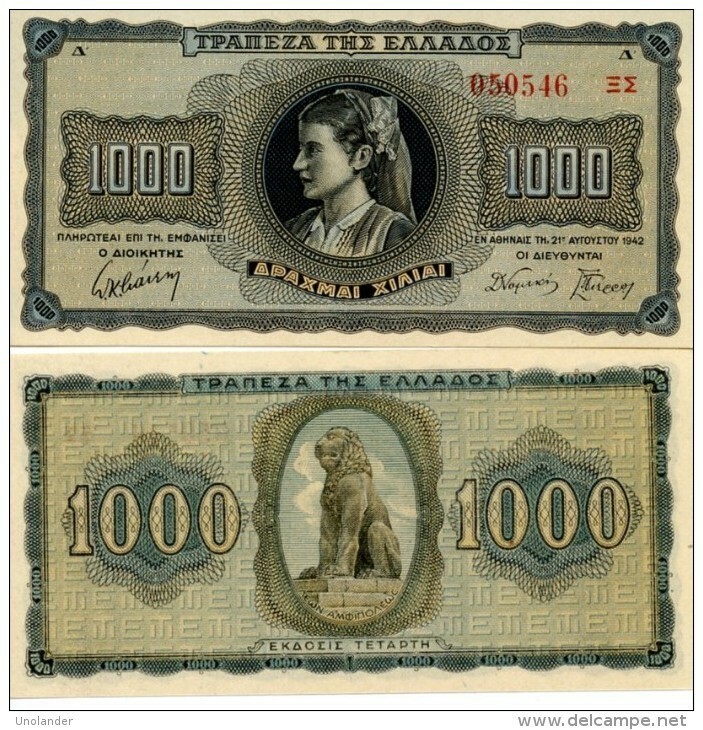 The "key" of the complete set!